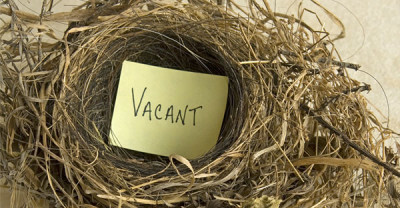 Being left at home with an empty nest can be a major adjustment. When your children finally leave home, you’ll be presented with a new found freedom and a variety of unexpected challenges. Many empty nesters find their homes are too large once their kids move out and therefore opt to buy a smaller home in order to gain capital and reduce maintenance costs. These days though, some parents are hedging their bets in case their kids decide to move back in. It’s a huge adjustment when the kids fly the coop but it’s also a great opportunity to pursue new hobbies and think about your own needs. If you’re not quite ready to sell up and move on, consider transforming an old bedroom into your very own personal retreat. Whether you decide to sell your Port Elgin home or not, it’s a great time to declutter your home when the kids move out so go through every room and get rid of anything you no longer need. Whatever you do, just make sure you turn your new found freedom into a positive experience by focusing on yourself. New home to be built by quality builder Walker Homes in desirable Summerside Place subdivision in beautiful Port Elgin. The Anna model is 4 bedroom with a terrific floor plan, generous room sizes and open design. Many deluxe features are standard with Walker Homes including solid brick exterior with shake accents, hand crafted Amish kitchens cupboards, natural gas fireplace, solid wood staircase, 9′ ceilings, hardwood flooring on main level and more, act early and you can pick your colours and styles from the builders samples. 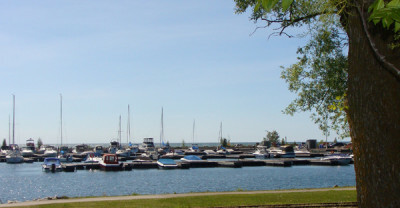 Not only are you buying a home you’re buying a lifestyle in a wonderful community, only steps from schools, playgrounds, miles of walking trails and not to forget – the famous Port Elgin beach, world class sunsets and marina. Please call today for more information. All measurements are approximate and based on builders floor plans. HST is included in the purchase price providing the Buyer qualifies for the rebate and assigns it back to the builder on closings. Port Elgin Home for Sale! New Listing! Nothing to do here except move-in the furniture.This raised bungalow shows beautifully & is situated on a meticulously landscaped lot with mature trees & low maintenance perennial gardens. Located on a low traffic street at the North end of Port Elgin. The main level features an updated kitchen with granite counter tops,breakfast bar & pantry; the dining area has patio doors to the deck,bright living rm,master bedroom with walk-in closet & ensuite bath with heated floors,2nd bedroom with lots of closet space & 4pc bath. The lower level has a large family rm with natural gas stove, laundry, workshop, 2pc bath & an additional room which could function as a 3rd bedroom or office. Just to highlight a few of the features; walkout basement, natural gas BBQ connection, a ductless air conditioner that keeps the home nice & cool in the summer, a sand point well for lawn watering & a convenient carport to park your car in, offered with appliances, numerous upgrades over last several years. Call for a showing. 519-353-8211 (direct).